If you’re the type that loves going antiquing and finding those unique and special pieces, then you also know how important it is to be able to refinish them in a way that isn’t harmful to the pieces. Many of today's paints and stains can be quite harsh and even end up damaging walls, floors, decks, and furniture thanks to the chemicals in them. So is it possible to refinish antiques without the use of harmful chemicals? Let’s take a closer look. One of the tips you can use when shopping for products that won’t harm your antiques is to look for paint and stains that are environmentally-friendly and organic. Granted, these won’t be easy to find because most companies fill their products with paint thinner, mineral spirits, and chemicals. One company that is really standing out in terms of these environmentally-friendly options is Real Milk Paint Co.
Real Milk Paint uses its very own formula that is environmentally-friendly and uses only organic materials. This means you don't have to worry about anything toxic in the paint. The products contain ingredients such as lime, purified casein, a citrus solvent, and more. These products are meant to be used on walls, floors, decks, and antique furniture where you don't want to take a chance ruining it, but you still want to see fabulous results. There is nothing toxic about their products, which for many people is a top priority nowadays. You can click to learn about Real Milk Paint Co. and their various products. Because you aren’t planning to use chemicals, you can relax and not worry so much about the process. 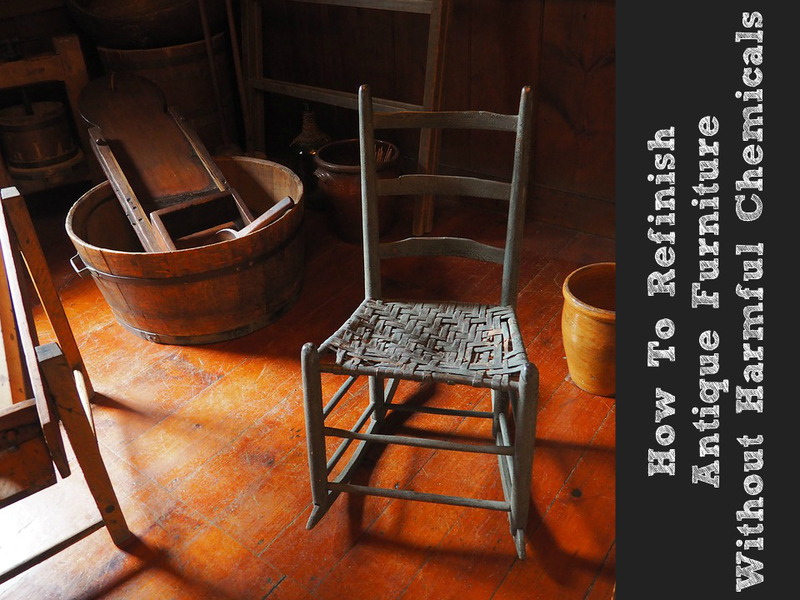 Refinishing antiques isn’t just for professionals; anyone can tackle it as a DIY project. The key is to give yourself plenty of time to finish the project, ask for help when needed, and do your research before you get started. Ideally, you want to look at the refinishing project as more of a hobby than a chore. Who knows, you may end up being really good at it and want to try a whole bunch more refinishing projects. There are even processes that not only cut out the chemical strippers but the sanding as well. This is a real win-win! Another tip you can use is to practice on scrap pieces of wood before you tackle the actual piece of furniture you want to refinish. This can take a lot of stress out of the project. If you don’t practice first, then your antique item will become your practice piece. Garage sales can be a great place to pick up cheap pieces of furniture that are beaten up and seen better days. These can make for excellent practice projects while you get to know the process. Refinishing a piece of furniture isn’t just a satisfying thing to do; it allows you to customize an item and then show off all your hard work. Great point about considering the process a hobby rather than a chore - the perfect bank holiday weekend DIY, you could say?! haha :) I love seeing before-and-after transformations from using products like this on furniture. Great tips! We have a couple of second hand tables we purchased well over a year ago with the intention of refinishing. Time is an issue since there are more important things we need to get done. I am hoping we will get to those pieces at some point since it will be fun and relaxing. We tried a natural stripper on our kitchen cabinets initially when we were trying to decide what to do. It took many more hours to work than its chemical equivalent, but worth it not having to worry about what we were breathing. My stepdad refinishes old furniture from time to time. I should show him this post!